Has Apple dropped 'bag of hurt' Blu-ray from iMacs? Apple has decided not to add Blu-ray to its latest updated range of iMacs, if sources close to the company are to be believed. It had been thought that Apple was planning to add Blu-ray capabilities to a new range of all-in-one iMacs but Apple Insider is now reporting (albeit on rumours) that the Blu-ray technology may have been pulled before production started on the computers last month. Steve Jobs has been quite candid about Blu-ray in the past. Last October at one of Apple's annual product announcements, he called the tech a "bag of hurt" and noted that "the licensing is so complex". Complex licensing would mean pushing up the prices, and considering Macs sell for a premium anyway, it would make for a rather pricey setup. As with all Apple news prior to launch, the lack of Blu-ray cannot be denied or confirmed, but what does seem to be a certainty is the new iMac range will be powered by Intel's latest Core i7 chip – the quad-core Clarksfield (Nehalem) mobile processor. 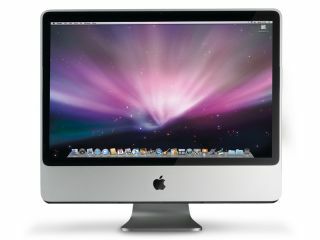 If this turns out to be solid fact, then it would be the first iMac to contain a quad-core processor.